Like an Impressionist painter, Finch observed the everchanging tone and colour of the Channel over several weeks throughout 2010. This resulted in a palette of 100 variants of sea colour, which was used to dye 100 flags. Each morning throughout the Triennial, a sea-coloured flag was chosen and hoisted at midday. 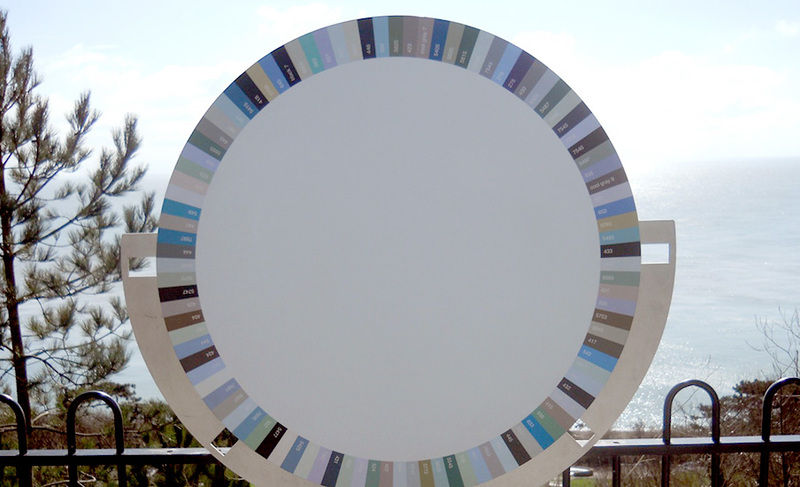 Its colour determined daily by matching the sea’s with one from Finch’s large colour-wheel, installed just below the western end of main Leas Promenade.